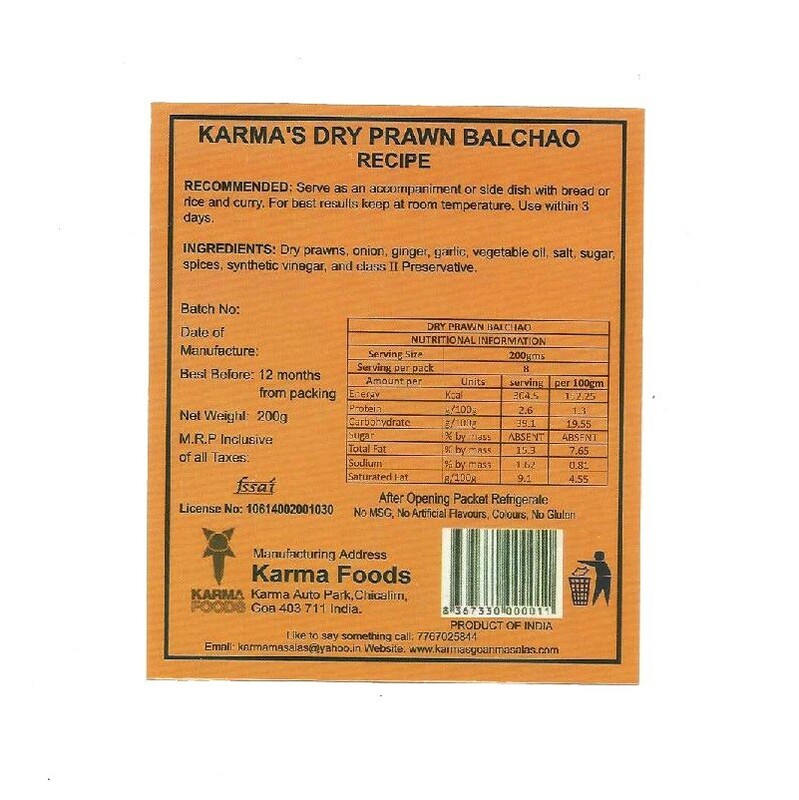 Buy Dry Prawn Balchao of Karma Foods from Margao online | Authentic Indian Sweet , Savories and Delicacies from the place they originate by Moipot. 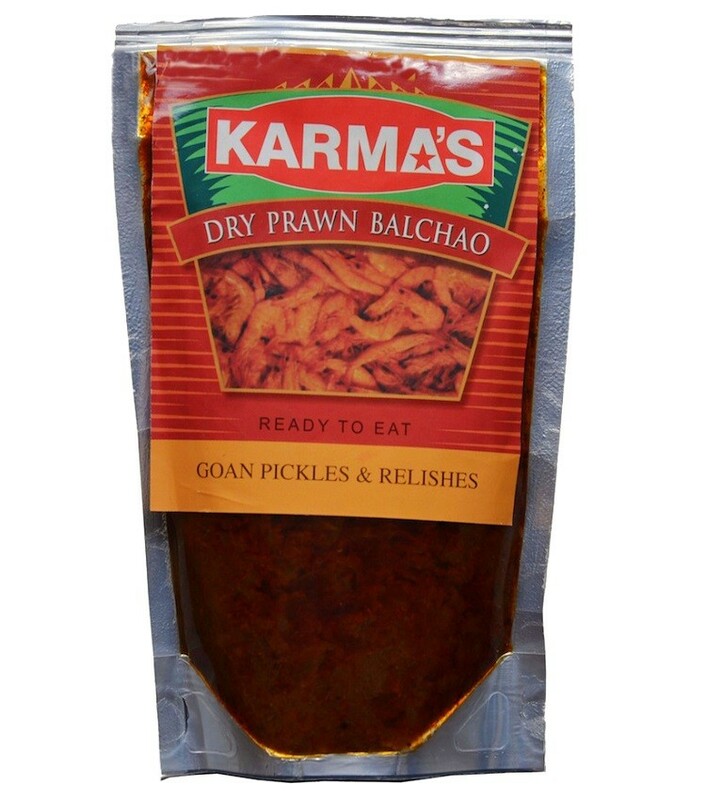 Dry Prawn Balchao is the ultimate Goan pickle! A must have in every non-veg lover’s house, this delicacy is nothing short of finger licking good! The masala of this pickle definitely deserves a mention for its incredibly rich Portuguese flavor that has a fusion of sweet-hot-sour taste. A mixture of whole spices and sugar soaked in white vinegar and ground in thick paste, gives this pickle its rich textures and flavors.